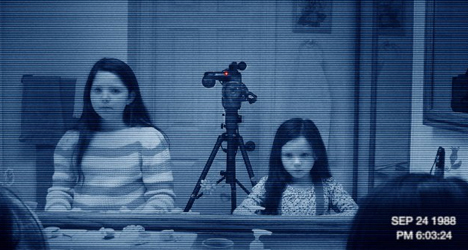 Depending on the individual, the suspension of disbelief may be stretched a little far when “Paranormal Activity 3” asks us to accept that 99 percent of the movie is shot on VHS camcorders circa 1988. Everyone remembers how much VHS tapes sucked, and asking us to believe these crisp, widescreen images were captured using media long relegated to the garage sale circuit undercuts the “found footage” vibe put into motion with the first movie in the series. Other people might point out that no one would want to pay $10 to watch a major motion picture shot entirely on smudgy VHS tape anyway. Still others might tell you both to shut up and stop talking about image quality and obsolete home entertainment formats and enjoy what turns out to be a spin-tingling experience at the movies. Set 18 years before the events of the first two “Paranormal Activity” films, the story once again focuses on tormented sisters Katie and Kristi, this time as children. The film opens with a scene set months before prequel “Paranormal Activity 2,” as adult Katie (Katie Featherston) delivers a box of VHS tapes from their childhood to pregnant sister Kristi (Sprague Grayden). Curiosity set in when they realize neither of them remember the events described on the labels. From there we’re taken back to 1988, as young Kristi (Jessica Tyler Brown) and young Katie (Chloe Csengery) seem to interact with an invisible, well, something (this time given the name Toby, presumably the invisible demon we’ve met before) as their step-father Dennis (Christopher Nicholas Smith) documents the strange occurrences on videotape despite the protestations of their mother Julie (Lauren Bittner). 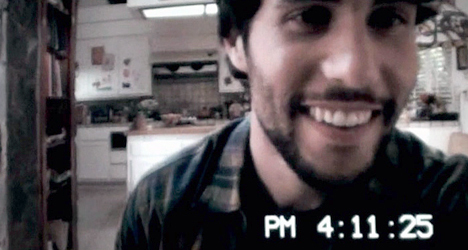 Initially “Toby” is treated as an imaginary friend to Kristi, innocent and harmless, until the odd happenings around the house begin to occur more frequently and escalate in malevolent intensity. To spell the plot out further would be to spoil the best thing about the series: the sense of surprise and dread that comes with catching something in the edge of the frame. 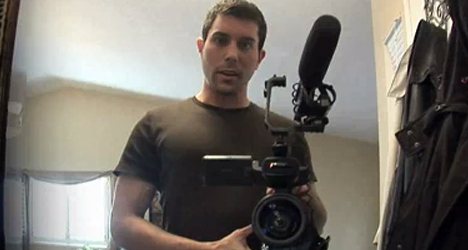 Where the previous films have always offered two basic camera shots, a combination of stationary camera angles mixed with first-person shaky-cam video, directors Henry Joost and Ariel Schulman (“Catfish”) add a fresh sneakiness to the film with the addition of a camera mounted on an oscillating fan. Its slow pans back and forth across the room teem with tension as terror revealed in the first pass has chillingly disappeared by the time the camera returns again, allowing for one of the creepiest, most creative set pieces in the trilogy. Questions it raises about the series’ timeline (did the sisters actually watch these tapes?) and other minor plot quibbles aside, the film delivers the freakiness.